Hello everyone!! I’m popping in this morning with the Winner’s name for that new Top Dog Die Wedding Die Set!! First let me say thank you to all of you who left a comment. I really appreciate all of you. I loved reading all of them. I didn’t respond as to not mess up the numbers for the random count. I will respond after this post goes live. So no worries. Now on to the winner!!! 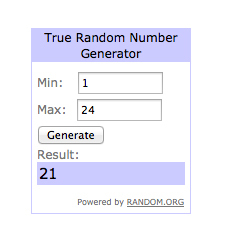 The winner was chosen using Random.org. There were 24 entries!! Congrats Iris T!!! You are the lucky winner!! Thank you so much for stopping by and playing along. Please send me your address using the contact me button above so that I can get that die set out to you. Have a great day everyone and thanks for stopping by! Congratz to the winner! So excited for you!